From the article “Hunting in Wildcat Country” by Arthur C. Rogers in our Winter 1960 issue. [W]ildcat hunting is one of the oldest and most arduous sports in Maine. It requires extraordinary stamina in the hunter and remarkable endurance on the part of brave, well-trained hounds to rout out the elusive, fighting cat. The best hounds for the sport, should, of course, be proof against running deer, for in Maine, much of the wildcat’s range is deer country. The hunt usually takes place through dense cedar swamps, almost impenetrable upland hardwood thickets, and heavy fir and spruce. Only a strong man with good legs can stay with a hound, which he must do if he is going to get in a killing shot. In this sport the hunter invariably uses a shotgun — and for a sound reason. A cat, treed by the hounds and desperately trying to conceal himself in a thicket, usually jumps as the hunter approaches the tree. Not until the cat is making a flying leap to the ground has the hunter his best opportunity for a shot. Even the target appears only as a fleeting, tawny shape. Hunting bobcats with hounds is still considered one of Maine’s more challenging hunts, though today’s outfitters use snowmobiles and GPS collars on their dogs. 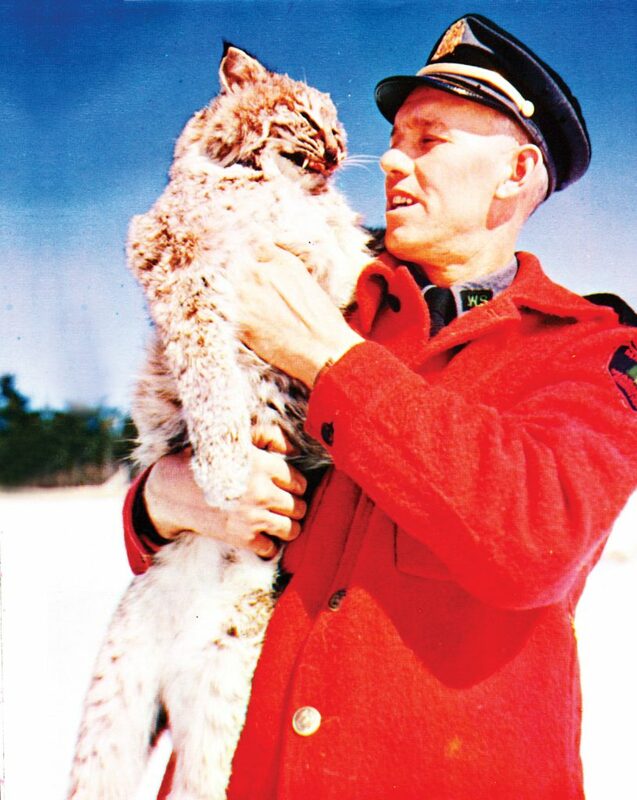 Maine’s open season on bobcats runs from December through mid-February — though the state no longer pays a bounty, as it did in 1960.